Browse a selection of DOTACOKO suede boots over here for as low as $14.99 a pair! 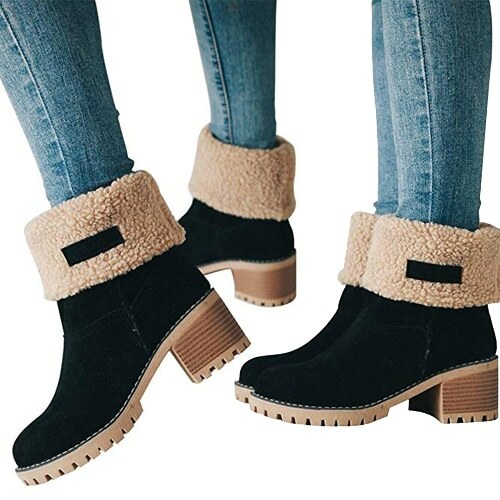 Sure-footed, lightweight, and ready for winter’s worst, these women’s chunky suede snow boots let you storm the snow in style thanks to faux fur lining, and a lux, feminine look. They feature a fold-over cuff and can be worn two ways. Foldable shaft lets you adjust the height of boots according to your style.